298 Commonwealth is located on the south side of Commonwealth, between Gloucester and Hereford, with 296 Commonwealth to the east and 300 Commonwealth to the west. 298 Commonwealth was designed by architect Samuel D. Kelley and built in 1880-1881 by brothers John W. Shapleigh and Samuel M. Shapleigh, carpenters and building contractors, for speculative sale, one of three contiguous houses (294-296-298 Commonwealth). Click here for an index to the deeds for 298 Commonwealth. On January 27, 1882, 298 Commonwealth was purchased from John Shapleigh and Samuel Shapleigh by Elizabeth (Snow) Hart, the wife of Thomas Norton Hart. They previously had lived at 85 Worcester. Their daughter, Abbie Snow Hart, lived with them. Thomas Hart had been a hat and cap manufacturer until 1878, when he retired from the business. He also was president of the Mount Vernon National Bank. He served as Mayor of Boston twice, once in 1889-1890, and again in 1900-1901. Living with the Harts were Thomas Hart’s brother-in-law and former business partner, Frederick B. Taylor, and his daughter, Mabel Taylor. Frederick Taylor’s wife, Abigail (Snow) Taylor, had died in June of 1878. Frederick and Mabel Taylor had lived with the Harts at 85 Worcester. Abbie Hart married in June of 1885 to Carl William Ernst. After their marriage, they lived with her parents at 298 Commonwealth. Carl Ernst was a journalist, author, and historian, and served as Thomas Hart’s private secretary for many years. Frederick Taylor died in March of 1891, and Mabel Taylor married in April of 1891 to Walter L. Fisher, a lawyer from Chicago. Elizabeth Hart died in November of 1906. Thomas Hart and the Ernsts continued to live at 298 Commonwealth. They also maintained a home in Swampscott. Carl Ernst died in April of 1919. Thomas Hart and Abbie Ernst continued to live at 298 Commonwealth. On September 23, 1921, Thomas Hart transferred a one-half interest in the house to his daughter. Abbie Ernst died in March of 1924, and Thomas Hart died in October of 1927. In May of 1928, the estate of Thomas Hart filed on behalf a prospective purchaser for permission convert the property from a single-family dwelling into dental offices. The application subsequently was abandoned. The house was not listed in the 1929-1930 Blue Books. In July of 1928, 298 Commonwealth was acquired from the estate and heirs of Thomas Hart by Francis J. O’Hara, Jr., a widower. He was a wholesale fish dealer in the firm founded by his father, Francis J. O’Hara, Sr., who had died in November of 1927. By 1929, 298 Commonwealth Francis J. O’Hara, Jr., had made 298 Commonwealth his home. 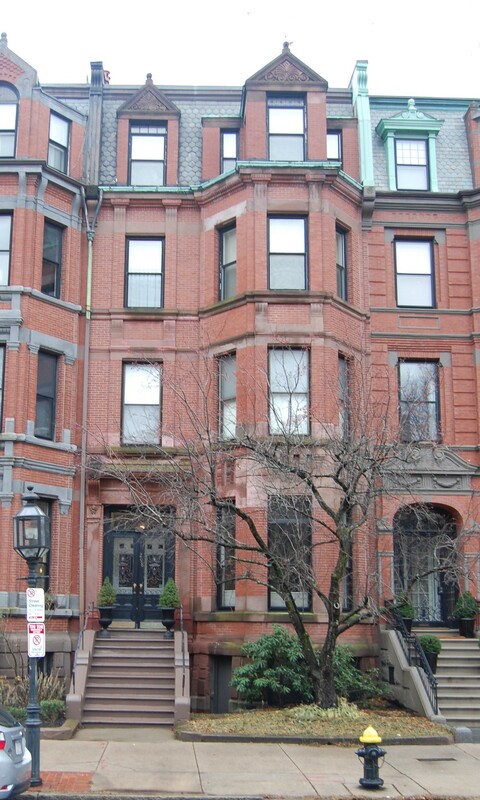 He previously had lived at the Copley Square Hotel at 49 Huntington. He was joined by Joseph Leonard MacCalduff, his wife, Mary (McQuaid) MacCalduff, and their daughter, Dorothy Catherine MacCalduff. They previously had lived at 114 Newbury. Joseph MacCalduff was a barber at the Hotel Touraine (southeast corner of Boylston and Tremont). Dorothy MacCalduff probably was a friend of one or more of Francis J. O’Hara’s nieces. In July and August of 1922. she had traveled in Europe with Francis J. O’Hara, Sr., his daughter, Agnes O’Hara, his niece, Mary O’Hara, and his grand-daughters, Helen O’Hara (daughter of William F. O’Hara and Rose L. (Crowley) O’Hara) and Miriam Donahue (daughter of Joseph Michael Donahue and Mary Frances (O’Hara) Donahue). An August 15, 1927, Boston Globe article on their arrival home mis-identified Dorothy MacCalduff as one of Frank J. O’Hara, Sr.’s granddaughters. On March 29, 1929, Francis J. O’Hara, Jr., transferred 298 Commonwealth to Mary MacCalduff. The transfer probably was in anticipation of his marriage to Dorothy MacCalduff later that year. In September of 1929, Joseph MacCalduff applied for (and subsequently received) permission to install a fire escape, indicating that the property would be used as a lodging house. On October 1, 1929, Mary MacCalduff transferred the property to her daughter, Dorothy, by then the wife of Francis O’Hara. The MacCalduffs and the O’Haras continued to live at 298 Commonwealth until about 1941, but moved thereafter. By the mid-1930s, Joseph MacCalduff had become a liquor dealer. Francis O’Hara continued to be a wholesale fish dealer. By 1942, Francis and Dorothy O’Hara were living in Portland, Maine. 298 Commonwealth was shown as vacant in the 1942 City Directory. On June 18, 1942, 298 Commonwealth was acquired by Miss Alice E. Donoghue, who operated it as a lodging house. She was a teacher and lived at 33 Dunster in Jamaica Plain with her sister, Elinore F. Donoghue, a school principal. On August 9, 1961, 298 Commonwealth was acquired from Alice Donoghue by 21 Commonwealth Avenue, Inc., and on December 28, 1961, the property was acquired from it by Chamberlayne School and Chamberlayne Junior College, located at 128 Commonwealth. Matthew Joseph Malloy was the treasurer of 21 Commonwealth Avenue, Inc., and the president of Chamberlayne School and Chamberlayne Junior College. In the mid-1970s, Chamberlayne went bankrupt and on June 11, 1975, it transferred 298 Commonwealth to Bernard P. Rome, trustee in bankruptcy. On December 15, 1976, 298 Commonwealth was purchased from Bernard Rome by the Back Bay Restorations Company, Limited Partnership (Zena Nemetz, president, treasurer, and general partner). 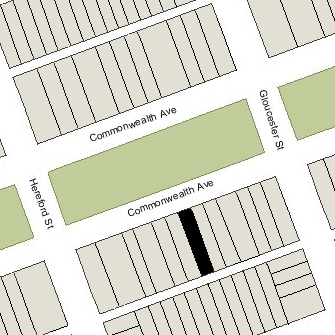 At the same time, it also purchased Chamberlayne’s properties at 199 Marlborough, 238 Marlborough, 148 Commonwealth, and 278–280–282 Commonwealth. In November of 1976, it had acquired 274 Commonwealth and 276 Commonwealth, which also previously had been owned by Chamberlayne. 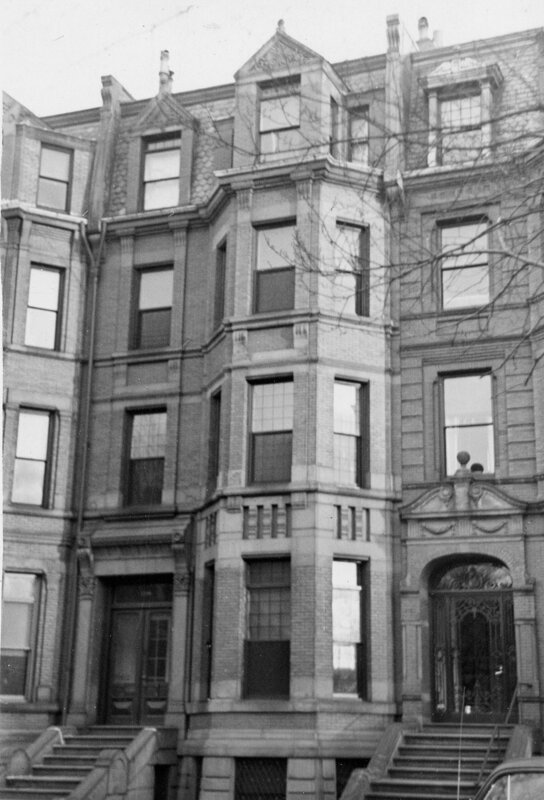 In October of 1976 (prior to taking title to the property), Back Bay Restorations applied for (and subsequently received) permission to convert 298 Commonwealth from a dormitory and lodging house into nine apartments. In March of 1978, it amended the application to reduce the number of apartments from nine to seven. 298 Commonwealth was converted into seven condominium units, the 298 Commonwealth Condominium. In March of 1985, the BRA brought legal action for violation of the 1976 agreement, and in July of 1985, Back Bay Restorations signed a consent decree agreeing to keep most of the units as rental apartments for three years and to pay the relocation costs of tenants previously forced to move out. On February 24, 1992, the St. Paul Federal Bank for Savings foreclosed on its mortgage to Back Bay Restorations and sold all of the condominium units at 148 Commonwealth, 298 Commonwealth, 199 Marlborough, and 238 Marlborough to Managed Properties, Inc., of Chicago. On June 29, 1992, Patricia M. Bailey, trustee of the PBH Realty Trust, purchased the condominium units at 298 Commonwealth and the other three properties from Managed Properties, Inc. She subsequently sold the units to individual buyers.